Complementing your brand new Puma EvoPOWER boots, carry all your kit and essentials in this Puma evoPOWER Gym Sack in Black and Green Gecko. 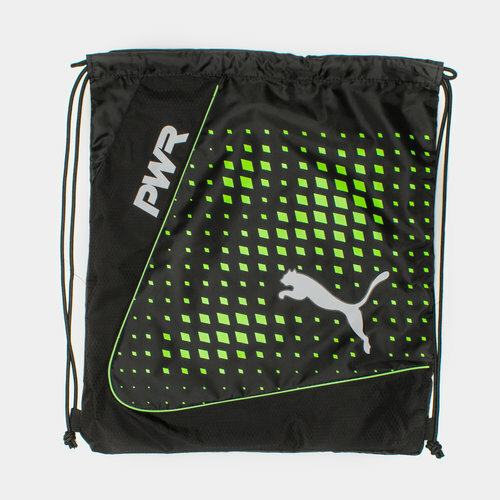 This gym bag from Puma, which comes as part of the EvoPOWER collection, can be fastened and carried on the wearer's shoulders via adjustable drawstrings. Made from lightweight polyester material, a zipped pocket ideal for smaller items provides extra security. For school and heading to training, make sure to keep together all of your essentials with the Puma evoPOWER Gym Sack.